In April, we wrote a well-received piece on how mathematicians qua gamblers were able to beat some supposedly theoretically sound lotteries. In that piece, I had a few examples of mathematicians (and others well versed in math) literally beating the system – winning three lotteries ‘against all odds’, for example, or taking down the Massachusetts lottery. Today we’re going to cover a similar, high stakes ‘lottery’ we all know and love… and discuss a few people who beat game shows. For quite some time, Game Shows ostensibly followed the same underpinnings as investments and gambling (namely, the ability to make money by either superior knowledge or luck). Game shows also appear to be ‘riskless’ – they had a positive expected value, so being invited on the show meant you weren’t going to lose money. Nowadays that’s the case, but game shows actually had a rocky past. Early quiz show formats weren’t “interesting” enough to capture a significant amount of viewer eyeballs, so Producers started coaching contestants on answers in order to create more interesting scenarios. The most famous incident occurred when a typecast ‘nerd’ named Herb Stempel was ‘defeated’ by Charles Van Doren on the quiz show Twenty-One after a long line of scripted Stempel victories. When Stempel later came out (in 1957) and said that Van Doren had been provided answers to dethrone Stempel (and Stempel had been told to incorrectly guess at a question he knew the answer to) it caused a huge scandal. Stempel’s whistleblowing initially led to Producer Dan Enright’s denials… but when more people came forward backing him up, Congress stepped in to put restrictions on the format – banning game-rigging in contests. In the aftermath, quiz and game shows virtually disappeared from network television – and big money shows didn’t return until 1963’s 100 Grand… which only lasted a few weeks. Even when game shows started to come back on the networks, they had their problems – which leads us to the hero of today’s article, Paul Michael Larson. Wikipedia tells us that Mike Larson’s wife thought him a little strange… he always would tell her he was smarter than other people. While it may have paid personal dividends to try to contain that particular opinion, the coup he pulled off certainly lent some supporting evidence to his assertion. 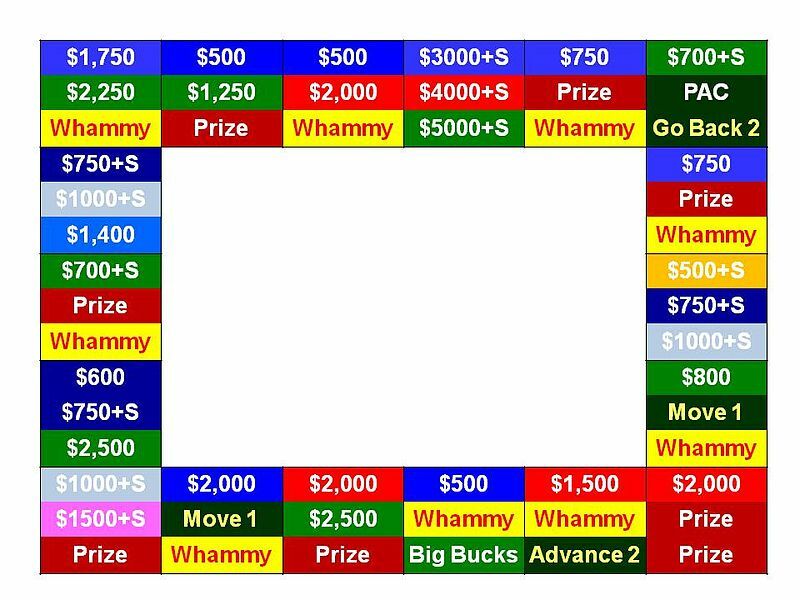 Contestants would ‘roll’ the wheel, much like Wheel of Fortune today, except a series of lights would traverse the board (supposedly) randomly depending on start. In this show, ‘Whammy’ was the ‘bankrupt’ space, where a player would lose their accumulated fortune. There were only 5 possible light patterns, limiting where lights would land based on the start. Larson auditioned for the show (after spending his life savings), and despite a conversation with the producers about whether his motives were true, they let him on the show. Long story short, Mr. Larson made a bit over $110,000 in a single show. In May 1984. When CBS had a prize show cap of $25,000. CBS initially accused him of cheating and tried to deny him his winnings – a replay of the tape revealed Larson cheering before his rolls finished and showed him making ‘questionable’ decisions (had those decisions been random). Still, nothing in the contract said anything which could deny him the money – so he walked out $110,000 richer. It turned out that Larson wasn’t the only one who noticed the pattern. However, Larson was the only person who both knew the light pattern and made it past the producer screening audition. That bombshell led the show to change the 5 patterns to another 5 patterns – and after some time, they changed the 5 into 32 patterns, effectively ending the loophole. Still – the damage was done – Mike Larson had literally beat the game show system. So, there you have it – another odd story of how differing thought can lead to success in areas where others assume no success is possible… proving its possible (if not probable) to beat game shows. Just because people think you’re strange for pursuing a certain path (yes, even your spouse! ), doesn’t mean it’s actually a bad idea. I’m sure one of those motivational posters would fit here, something with a clever photo and a statement like “Always be true to yourself”. If you’ve got a clever one, hey – that’s what the comments section is for! I was too young to remember that particular incident but I remember that show well. I loved that game show probably second only to The Price Is Right. Thoughts on the Drew Carey version? No Whammys, no whammys, big money! That’s a scary board – look at all those Whammys! I had a couple friends win on game shows. A woman friend won on Price is Right many years ago. She was selected for her height and energy level, but she won based on her knowledge. Another friend was on Hollywood Squares, he won a car and some money. He was an engineer and pretty good with games too. He carpooled with me and we did the cross word every morning during the commute (45 minutes). Got any Youtube links? I’d love to toss some up during the Weekender! When I saw the title of this post I was wondering if you were going to talk about this guy. Even though he had the pattern figured out he still could have lost if he mistimed the stop. I can’t remember the whole story, but I do remember the game show money didn’t last long and he lost a lot of money trying to make money from some kind of radio promotion. It’s unfortunate it had a sad ending though – it seems his life just didn’t work out on a few levels. I’m sure Mr. Larson was smart, but it seems his moral compass was off – returning to sketchy schemes over and over, even though he had a good mind for patterns. Don’t forget the Monty Hall Problem!!! I was going to say the same thing. Love that countless PhDs tried to debunk it with no success. Haha, time for a shameless plug! I talked about Monty Hall on our old podcast – definitely one of the best Math Brain Twisters out there. Thanks for the share!